After a week in Toyota’s big, flagship sedan, we found it to still be the conservative drive it was before, but with a more progressive appeal. Whatever your choice on the vehicular voting spectrum, the Avalon likely has a place. 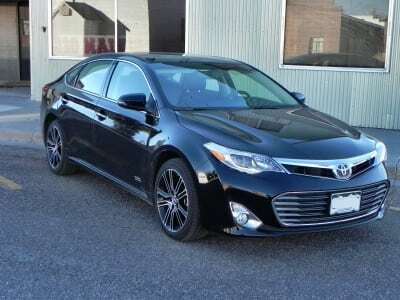 The 2015 Avalon exemplifies what Toyota does best: hitting the broadest market possible without becoming forgettable. 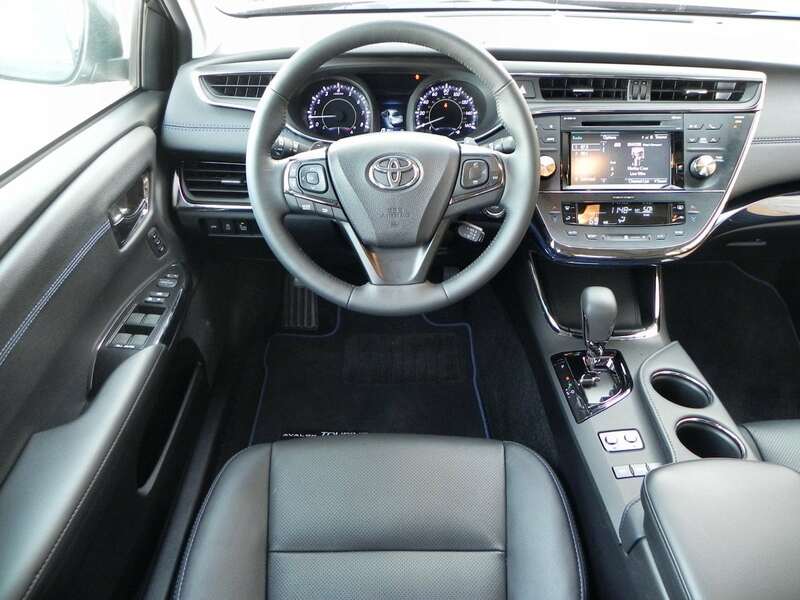 For 2015, Toyota added a new XLE Touring Sport model to the Avalon’s lineup, made paddle shifters standard on all trim points, and made another upgrade to the Entune infotainment system. We drove that new trim model and were impressed with the latest in the steady upgrades Toyota has made to its infotainment. Everything about the 2015 Avalon is similar to what has made the car popular to begin with. There is nothing that is “stand out” or unusual about the car. 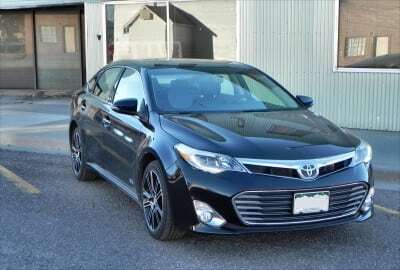 It has good looks that are contemporary to the current segment, a solid (if unexciting) ride quality, and a great interior that deemphasizes the relatively small size of the Avalon versus other full-sized sedans. It’s comfortable, roomy, and well made. It’s a balanced car, as it’s always been. 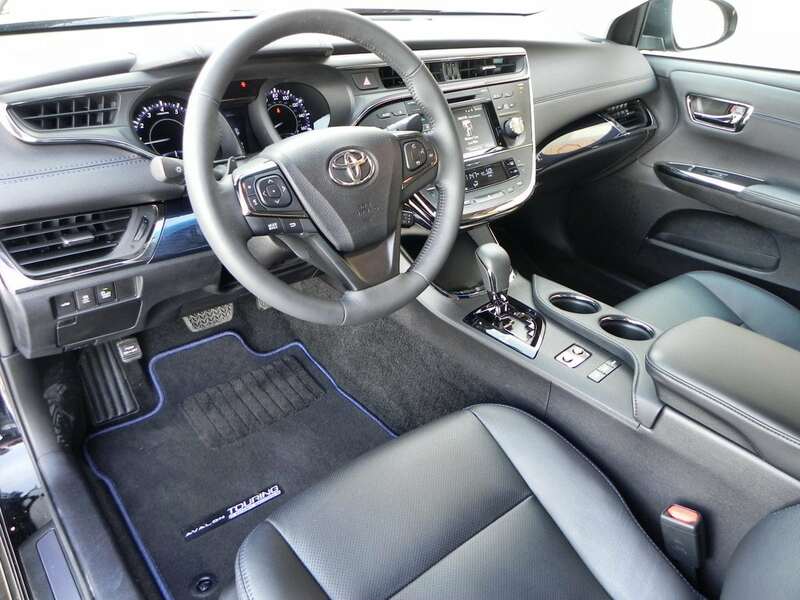 The base Avalon trim comes with great amenities like keyless entry, leather upholstery, and other upper-point equipment. Most of the trim levels add technology and interior/exterior details rather than amenities, making the base-level 2015 Toyota Avalon a great contender as-is. Trim levels begin as the base XLE and run through the XLE Premium, XLE Touring, Limited, and XLE Touring Sport. 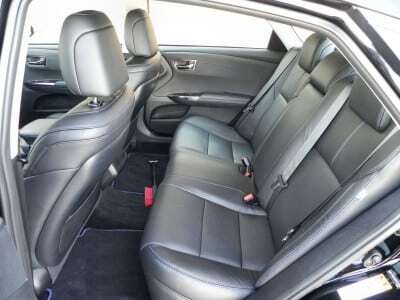 The last two are roughly parallel with the Limited being focused on luxurious comfort and the XLE Touring Sport being focused on technology and driving dynamics. The 2015 Toyota Avalon XLE Touring Sport, which was our test model this year, is very well equipped. The Touring package itself includes a lot of enhanced safety options like blind spot monitoring and rear cross-traffic alert, and Entune with navigation and apps. The Sport adds on visual appeal with black-painted alloy wheels, nice-looking blue piping inside, and perforated leather seats. This gives the Avalon a sportier feel, of course, but does little to change its handling and performance. Like most in this segment, “sport” is used to describe overall appeal more than it is actual sportiness on the road. 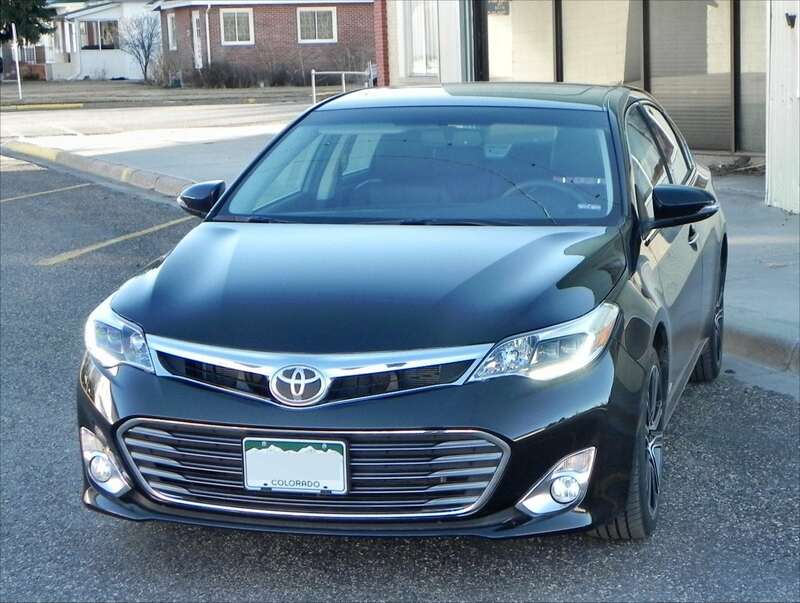 With the 2015 Avalon, though, the XLE Touring Sport is a great-looking ride with just enough added to give it a more youthful appeal inside. Comfort levels are, of course, top notch here. 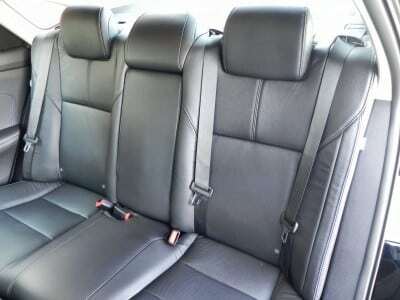 The back seat is roomy, though taller folks occupying both rows may feel cramped when all together. 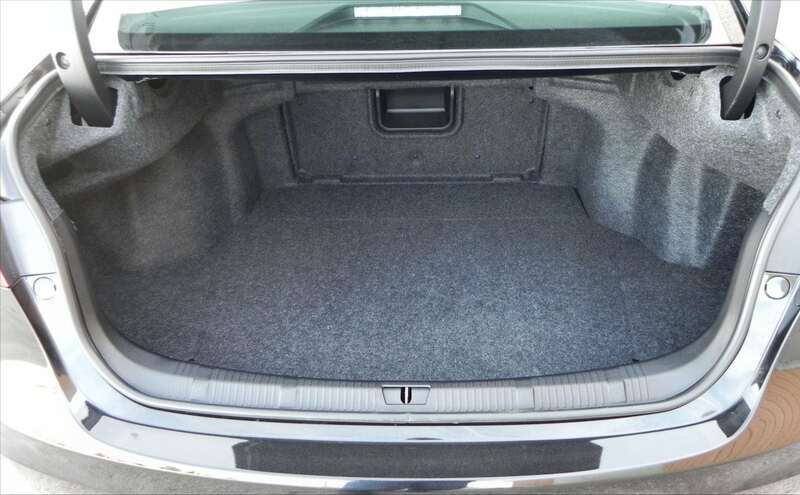 The trunk is spacious as well. Headroom is good throughout. 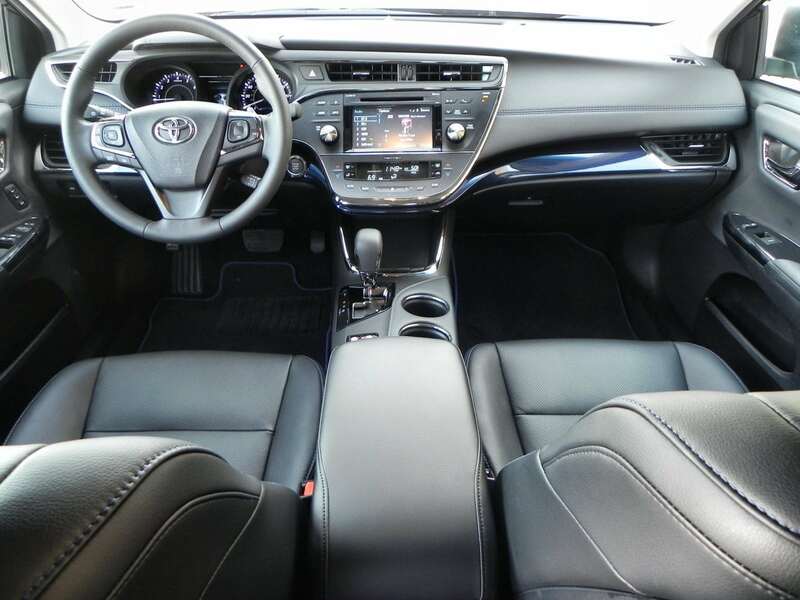 Although the Avalon is the smallest in its category, it still boasts a lot of room inside. 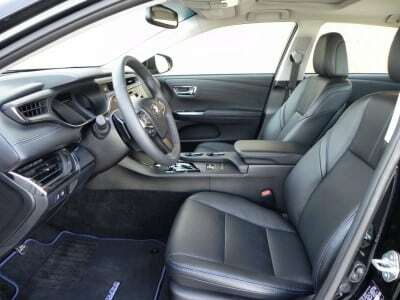 Some might consider the 2015 Avalon’s interior a bit spartan, but materials quality is all top shelf. Finally, the upgrades to Entune are welcomed as they improved the user interface a bit, making it more intuitive to use than it was before. There is still room for improvement, but compared to two years ago, the current-generation Entune is far superior. Outside of the Hybrid model, there is only one engine option for the 2015 Avalon. That is the tried-and-true, steady-as-she-goes 3.5-liter V6 that has long been the motivator for this car. This produces 268 horsepower and 248 lb-ft of torque to the front wheels through a six-speed automatic transmission. The EPA rates this combination at 21 city, 31 highway – 24 mpg combined. With manual shifting via the paddles, we managed to get an impressive 6.7-second 0-60 mph time out the 2015 Aalon. The Avalon has always had a smooth powerplant and a comfortable interior. Acceleration is good and gives a feeling of confidence on the road. 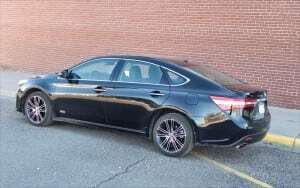 The previous-generation Avalon had a lot of body roll to its dynamics on the road, which has been dampened somewhat in this new rendition, though the 2015 Avalon is still a soft ride in comparison to its Hybrid brother and some others on the market. 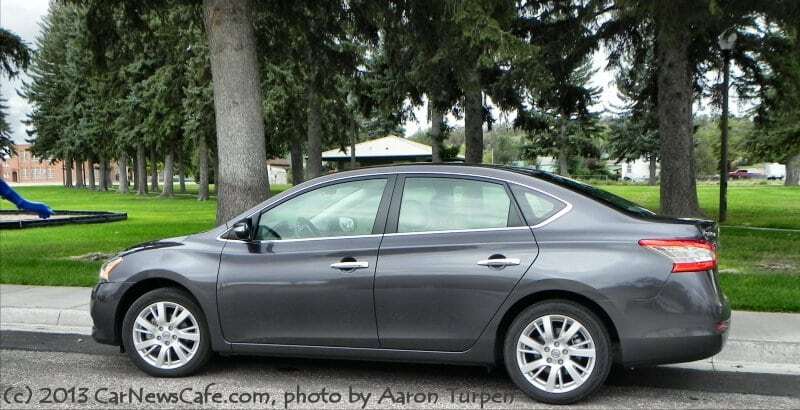 On the highway, the Avalon cruises well and is quiet and unruffled. Add in the great technology options available and that quiet can be filled with conversation (on or off the phone), good music, or an easily-heard book on tape. The full-size sedan segment has no lack of competition. Most are larger and roomier than the Avalon, but few can match fuel economy and comfort for the price tag with the Toyota. Still, there are some great choices in this segment. 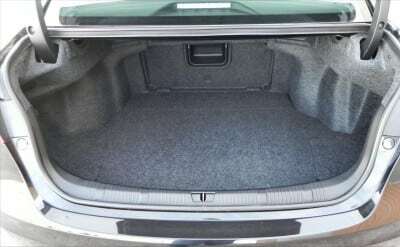 They include the Chevrolet Impala, Chrysler 300, and Kia Cadenza. Just to name a few. Of these, the Cadenza is probably the closest competitor to the Avalon in terms of size and price/value. Still an overly cushy ride for some. 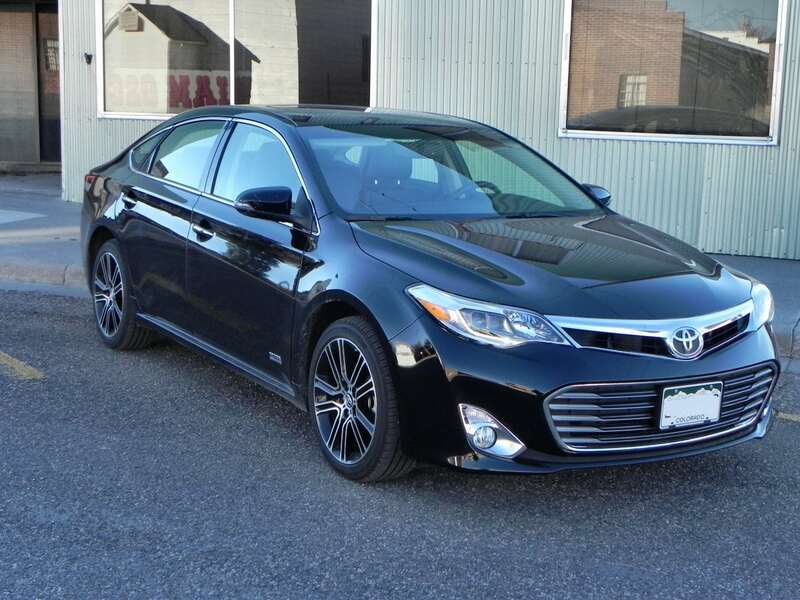 The blend of comfort, confidence, and efficiency in the 2015 Avalon is great, making it a nicely well-rounded sedan. It’s easy and undemanding without being a dead fish on the road. An excellent car, conservative and progressive at the same time. The Avalon was a manufacturer’s press loan given for about a week during which time we put about 180 miles on the car. Most of these were highway and freeway miles with 2 or more passengers on board.